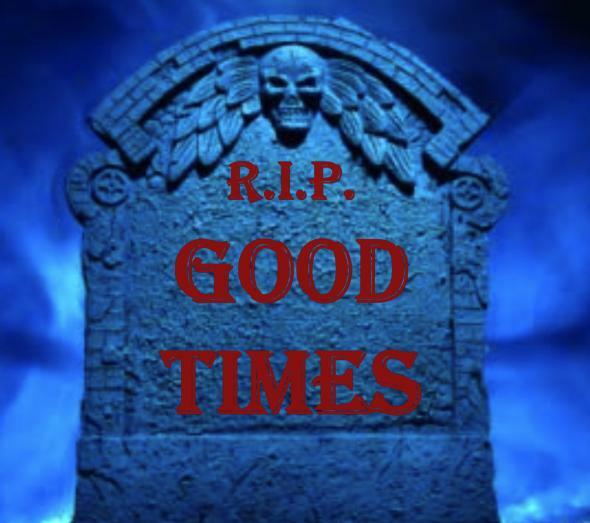 Back in October 2010, as the economy lurched into recession, Sequoia Capital shared a presentation with all their startup CEOs – the “R.I.P. Good Times” presentation. Two and a half-years later, how is it holding up as advice of what startups should do in a recession? Slides 1-39 provide a fair-enough analysis of the credit-inflation that led to the recession (leave aside the commonplace, but mostly wrong, comparison between the U.S. and Japan). After the warm-up, though, comes the prognostication and the advice. Some of what they had to say is not so far off: “Recovery will be Slow” (slide 42) was correct in terms of the general economy. Mostly, though, it looks pretty bad. “The $15M Raise on $100M Post is gone; Series B/C will be Smaller” according to slide 44. I guess someone forgot to tell Groupon, who recently raised $950M on a $4.75Bn pre-money valuation. To compound the irony, Groupon was founded within a few weeks of Sequoia publishing their “RIP” presentation. We also learn “Need to become cash flow positive”; “Customer uptake will be slower”; and that an “Established revenue model” is needed for “Survival.” Again, perhaps someone forgot to tell FaceBook, which has reached 600m users and $2Bn in 2010 revenue, or Twitter, which is being valued in the $5Bn-$10Bn range off a $50m 2010 revenue result and an as-yet half-baked revenue model. Nor is the reflating of confidence confined to mega-startups like Twitter. Take a look at YP-combinator, for instance, for a host of more modest companies that, while vulnerable, are making progress. Today, though they got some things right, the tone of Sequoia’s presentation appears hysterical, wrong-headed, and just plain silly. How did some of the smartest investors in Silicon Valley go so awry? Mobile, cloud, and social are all change-trends that are clearly visible now (2008), how could you leverage? Wallowing in the financial panic of late 2008, Sequoia forgot that success in the tech economy will gravitate towards those who can accelerate change. They also forgot that, while things are never as good as they seem in a boom, they are likewise never as bad as they seem in a bust. With more measured guidance and thinking, they could have helped their startups more. And if it had occurred to them that they were about to see the best investment environment of the decade, they could have made themselves and their Limited Partners an exceptional profit, too. Comments Off on Welcome Back, Good Times?